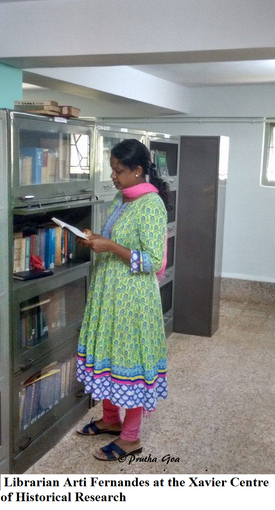 The Xavier Centre of Historical Research is an example of the Jesuits’ conscientious desire to encourage research and the educative process, and has existed on Goan soil since 1977. Fr Romuald de Souza, S J, the provincial superior at the time, had the view that Goa needed an institute that permitted access to the history of its Church missionaries, and in particular the Jesuits, as most of the documented information was available only in Rome. The first premises were located at Miramar but since 1983 the centre has a permanent address at Bakibab Borkar Road, Alto Porvorim, Goa. The first director of the institute was Fr John Correia-Afonso, S J, who was also the director of the Heras Institute, Bombay. Dr Teotónio R de Souza, under whom the Xavier Centre of Historical Research became functional in 1979, did much to lay the strong foundation of the centre. The study and research of Goa’s history from the viewpoint of the native rediscovering his cultural identity became the focal point. Later the mantle of responsibility was handed over to Fr Charles Borges, S J, in 1994 and subsequently Fr Délio Mendonça, S J. The present director is Fr Savio Abreu, S J. The chasm which had materialised between Portugal and Goa as a result of Goa’s liberation had already begun to be bridged following the Carnation Revolution which removed Salazar’s policies. The Xavier Centre of Historical Research did its bit to strengthen cultural ties with Portugal and under Fr John Correia-Afonso, S J, the series of International Seminars on Indo-Portuguese History (ISIPH) was started. These seminars were to become the meeting ground for Indo-Portuguese scholars. The library is a magnificent storehouse of published and unpublished manuscripts, mainly those that are part of fifteen private family collections. Various Goan scholars and writers such as Dr Jose Nicolau de Fonseca, who wrote An Historical and Archaeological Sketch of the City of Goa (1978), and Mr Bras Fernandes, who was the co-founder and first secretary of the Bombay Historical Society which later became the Heras Historical, have made contributions of note. The most significant manuscripts come from the House of Mhamai in Panjim and date from the late 18th to early 19th century. These are business and family correspondence in Portuguese, Marathi, Gujarati, French, English, Kannada, Persian and so on, the presence of which is understandable as the family had trade links along the west coast of India and beyond in countries like Brazil, East Africa and Macao. The family acted as revenue farmers for the Portuguese and were political informers for the French East India Company during the Anglo-French conflict which makes the manuscripts a historical gold mine, as pointed out by Dr Teotónio R de Souza through his articles on them. The areas covered by these manuscripts and books are the Church and the Jesuit presence in Goa and India, the impact of the colonisers (Portuguese, Dutch, French and British) in Asia, Goan and Indo-Portuguese history, the history of Indo-Portuguese Christian art, and issues related to Third World countries. Apart from these manuscripts there are rare atlases, journals and publications, photocopies and cyclostyled government records, clippings from newspapers, original copies of Gazeta de Goa (1821), the first newspaper to be published from Goa, dissertations, loose maps, etc. 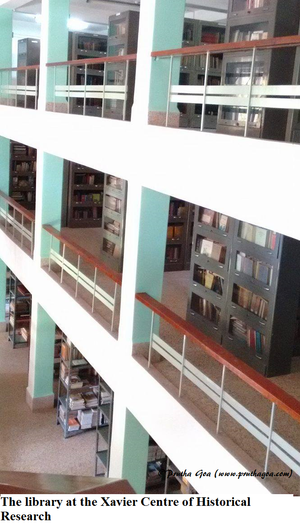 The library follows the Dewey Decimal System and computerised catalogues are available. Readers have the comfort of a reading room to peruse the scholarly material after paying a membership fee. Scholars from all over India and other parts of the world have made effective use of the valuable resources present in the library. 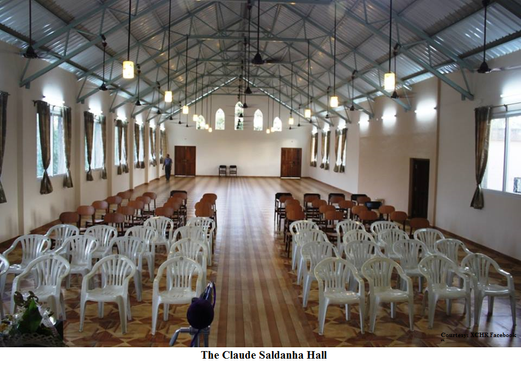 Recent years have seen the much needed refurbishment of the centre’s premises as well as the addition of the spacious Claude Saldanha Hall. The centre is home to the 311 paintings of Angelo da Fonseca, a Goan artist of considerable talent who remained unacknowledged in Goa in his lifetime and was criticised for presenting Christian art in an Indian cultural context. Dr Savia Viegas has curated four exhibitions of the artist’s paintings with the most recent one being dovetailed with the inauguration of the Claude Saldanha Hall in November 2014. Museum pieces that are part of the centre include Indo-Portuguese coinage and philately, palm leaf manuscripts and commemorative medallions. There are pre-Portuguese artefacts as well, such as gold coins of the Kadamba rulers and a bilingual edict inscribed on stone which has been attributed to Chhatrapati Sambhaji. 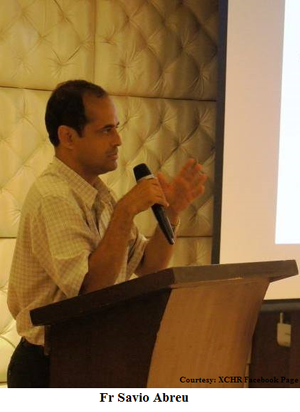 The Xavier Centre of Historical Research has conducted numerous seminars to promote scholarship and research among Goans since its institution. The History Hour is a popular programme held regularly that draws peoples’ attention to fairly contemporary topics related to Goa, and has been presented by noted scholars, professors and other eminent Goan personalities such as Wendell Rodricks, Clinton Vaz, Dr Maria Aurora Couto, Amita Kanekar, Dr Rochelle Pinto and others. 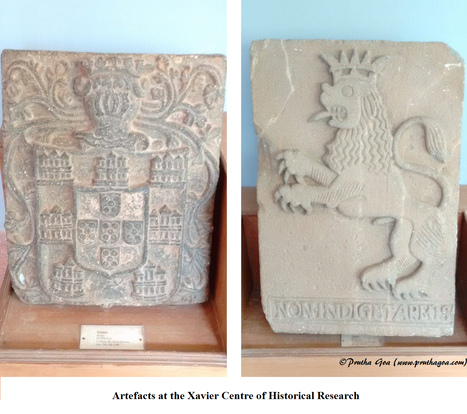 There are history related exhibitions and the yearly Goa History Quiz that has become synonymous with the Xavier Centre of Historical Research and which aims to foster the love of history and, consequently, the love of research at a young age among participating school children. The centre was rightly named the Best Cultural Institution in the State of Goa (2011-2012) for all its efforts towards developing an atmosphere of learning and scholarship in Goa.